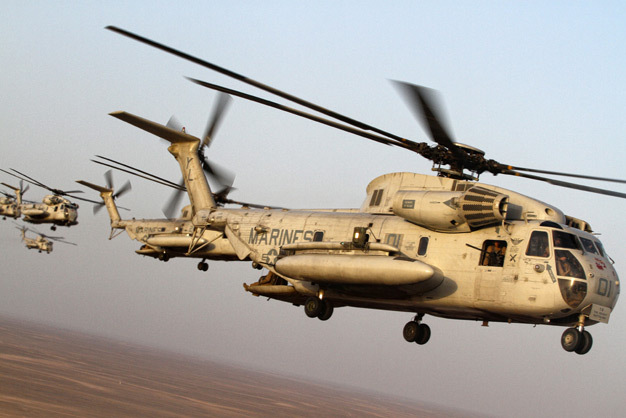 Completing 60 years of service, Marine Heavy Helicopter Squadron 362, known as the ‘Ugly Angels,’ completed a memorial flight over Helmand province, Afghanistan, Aug. 9, 2012. The squadron was created in 1952 and holds the distinction of being the first Marine helicopter squadron to arrive in country during the Vietnam War. Photo by Cpl. Isaac Lamberth.